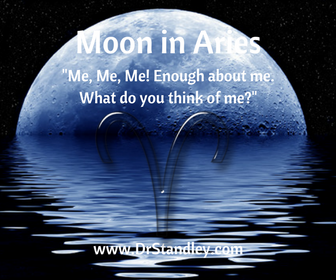 Moon in Aries until Saturday, July 7, 2018 at 8:51 AM EDT. 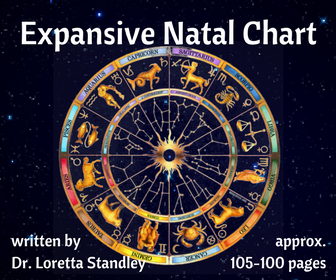 **NOTE -- The 'Quickie Daily Horoscope' is tailored to each Sun Sign, while the 'Extended Daily Horoscope' is just this page and is intended for all 12 Sun Signs to further and deepen your astrological study. The day may be light on aspects but it sure is tough on aspects. DANG IT! There are only two (2) lunar aspects occurring today, but both are squares, creating rugged energy on our emotions, feelings, moods and sensitivities. But hey, remember we are still under the 'orb of influence' of the Sun trine Jupiter that was exact yesterday and will remain effective and useful to us until July 14, 2018. Remember that! The Moon square the Sun occurring at 3:51 AM EDT is a tough one and impacts us early in the day. This is a tough aspect because the Sun rules our nature and the Moon rules our emotions. So this aspect is squaring off (literally) with our nature and our emotions. This can really twist us like a pretzel. The Moon represents the mother, while the Sun represents the father. So where we have an issue with parental energy or our parents. There is something within us that is not pleasing or desirable that we inherited from our parents and it kinda pisses us off. Some of us will recognize it while we are busy acting like our parents and some of us will not. This aspect is the height of 'emotional insecurity'. You will need to do your best to keep your emotions in check so that your nature does not act out in an unbecoming and unattractive manner. Focus on yesterday's Sun trine Jupiter because that aspect has a massive ego and enough self-confidence to carry you any way you want to go. That aspect will be your way of escape. The second lunar aspect today occurs at 2:54 PM EDT nearly 12 hours later and is another square. This aspect is the Moon square Pluto, which is 'emotional drama'. Unfortunately, so many of you out there are going to mix this drama with alcohol and make matters that much worse. Well let's see, if you are serious about astrology and practice it, then you should be able to refrain from drinking alcohol, right? If you aren't an alcoholic, you should be able to easily go this one day without alcohol, right? I mean, it's only one day. This aspect is so emotionally intense and jacked-up that it would be such a bummer if you threw away the Sun trine Jupiter opportunity because you couldn't go without a glass of wine, which is rarely ever only one glass of wine. This Moon square Pluto aspect wants something intense to go down (action) so it will create some jacked-up drama to satisfy its desire. Emotional drama is this aspects drug of choice. This aspect can and will turn volatile where engagement and wedding rings are being thrown. All I'm sayin' is, if you are going to throw your ring, throw it short and downward, not long and hard. Searching for a ring that you put distance on is too damn hard to find. LOL! If you are going to go crazy, at least have the sense to know that it won't last long and dont' lose your ring over it. This aspect can make you feel like you are in 'emotional jail' where you just can't take it any longer. This can cause you to say, "That's it! Take it, furniture and all, so I can just have some peace and quiet!" Again, do not either of these two aspects with alcohol, it just isn't worth it. 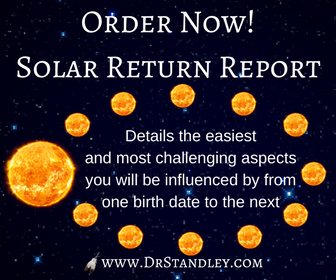 If you are interested in learning more about your chart and how you can use these planets to better serve you, especially your Solar Return, Schedule Appointment which dictates your entire year from one birthday to the next or if you are ready for a reading, then click the red 'Schedule Appointment' button to book a 15, 30, 60 or 90 minute reading with me (Dr. Standley). Download the 'Moon Square the Sun' chart wheel here! The Moon in Aries square the Sun in Cancer at exactly 3:51 AM EDT. You will feel this energy within 12-14 hours 'before and after' it occurs. The Moon in Aries square Pluto in Capricorn at exactly 2:54 PM EDT. You will feel this energy within 12-14 hours 'before and after' it occurs.